DRINKING and getting behind the wheel is like Russian roulette because the outcome could be life or death. So just don't risk it. That's the message police want Gladstone residents to remember with the festive season in full swing. 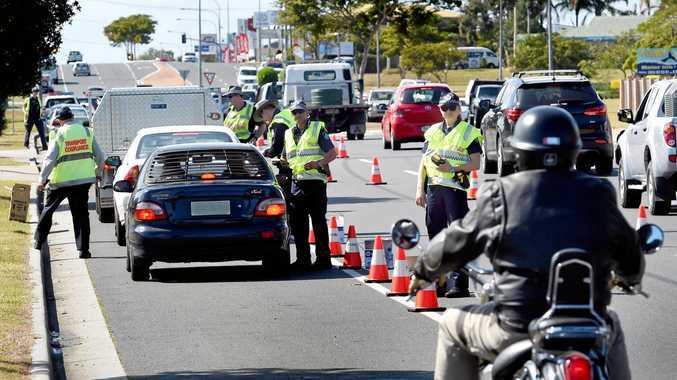 Calliope Road Policing Unit officer in charge Senior Sergeant Shaune English has served the Queensland Police Service for 30 years and in that time has seen the devastation caused by drink drivers. "There are people who swear they are stone-cold sober and return very high readings," Sen-Sgt English said. "I used to work as a crash investigator and we saw people who had low alcohol readings cause crashes where people died." Sen-Sgt English recalled participating in QPS training where volunteers consumed alcohol and estimated their ability to drive compared to their blood-alcohol content. "There was this one volunteer who was absolutely intoxicated and even said there was no way she could drive. "Her reading was only .045per cent. Even though she was incapable of driving, legally she was still able to. "So you can understand how each person's body can react differently to alcohol. It depends on their metabolism, body composition and size. "For example, one standard drink is 100ml of wine, and what you get served at plenty of venues is more than that. "People think they have had two or three drinks, but it's more like five." Sen-Sgt English urged residents to stay safe and make appropriate plans in the holidays. He said the common rule of one drink per hour didn't stack up. "I would recommend if people use that rule to double it, one drink every two hours. But you could still be over."